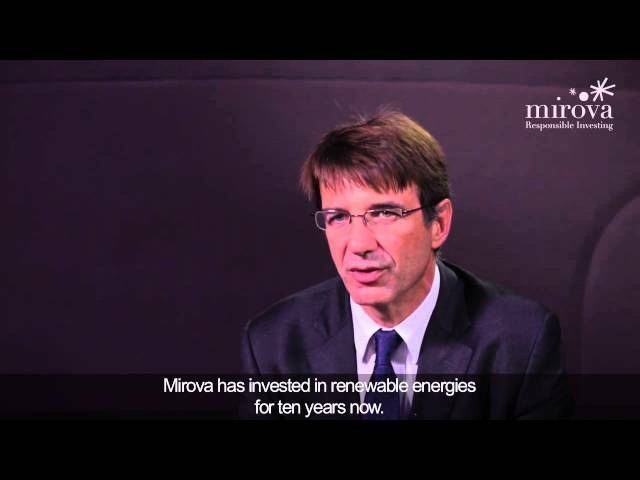 Mirova’s philosophy is based on the conviction that integrating sustainable development themes can generate solutions that create value for investors over the long term. • and lastly, responsibility and engagement by becoming actively involved in improving corporate, business sector and financial practices. Bonds: enhance conviction-based investment management in bond markets by integrating ESG criteria with our credit analysis and by supporting environmental and social issuance. Infrastructures: financing responsible projects with strong yield potential, based on two key areas of expertise: renewable energies and infrastructures. Impact investing: investing in non-listed companies with a strong social and environmental impact. Natural capital: create investment solutions addressing major global environmental challenges such as climate change, protection of landscapes, biodiversity, soil and marine resources. Mirova has more than 75 multi-disciplinary experts benefiting from strong experience: specialists in thematic investment management, engineers, financial and ESG analysts, specialists and experts in socially-conscious finance and project financing. Natixis Investment Managers serves financial professionals with more insightful ways to construct portfolios. Powered by the expertise of 26 specialized investment managers globally, Natixis Investment Managers apply Active ThinkingSM to deliver proactive solutions that help clients pursue better outcomes in all markets. (3) ESG: Environment, Social/Societal and Governance.